Queanbeyan Christmas in July Market Day. Photos: Supplied. What is the best part of Christmas? Along with presents and time with family, I think young and old can agree the food and drinks make the day extra special! 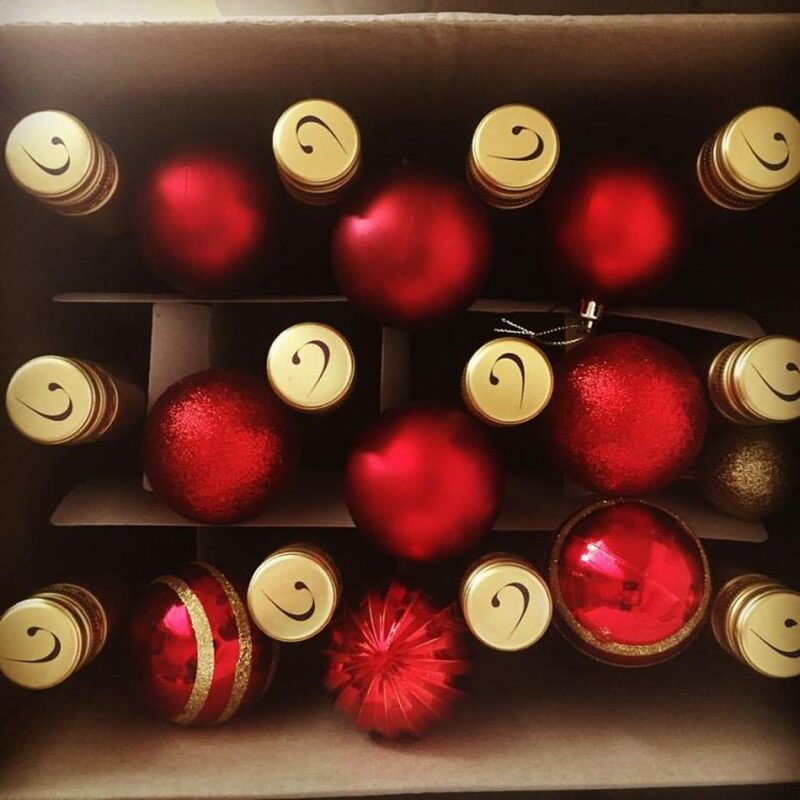 At this year’s Queanbeyan Christmas in July Market Day held at the Queanbeyan Showgrounds on Sunday 29 July 2018 from 10-4pm, belly-filling food and warming wines will be front and centre. 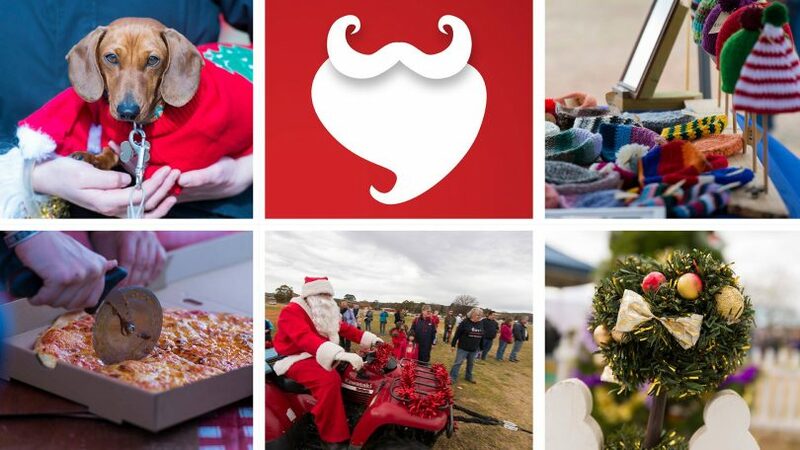 With over 250 unique market stalls, we have scoured the naughty and nice list for the top food and wine experiences to try at the Queanbeyan Christmas in July Market Day to make your day a winter dream. To start your day of tasty Christmas fare, head straight to the beverages section as it is all about mulled wine at this time of the year. Wamboin’s Contentious Character Vineyard has partnered with the Christmas Emporium to build a Christmas wonderland with fake snow to boot along with the very fine offerings of both white and red mulled wine. “You know when you meet a fellow elf in disguise as they get just as excited about Christmas as you do, this is certainly Mike from Christmas Emporium and Tony from Contentious Character,” said Laura Shelley Events Team Leader at Queanbeyan–Palerang Regional Council (QPRC). Also look out for Braidwood Estate, Lerida Estate, Scully’s Cider and Summerhill Road Vineyard to get your fill of local wine. This year will also see Underground Spirits, who started off in Queanbeyan, showcase their award-winning gin and vodka and the crowd-pleasing Capital Brewing will be pouring their locally made craft beers. For something different seek out Stone Dog Meadery who will be making their Market Day debut. A small artisan brewing company dedicated to giving you a new taste experience – Mead! 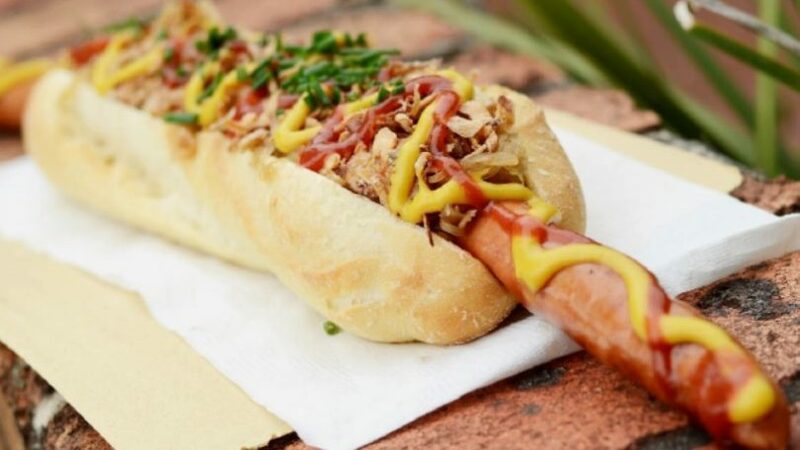 Berlin Bangers will be selling their gluten and dairy free sausages. “A favourite is Holie Cannoli who hand make and cook the cannoli onsite… yep, it is that fresh. We also have food vendors who just love to come to our events because they have so much fun. Pure Gelato knows it’s the middle of winter but Zoltan (the owner) told us that he will do anything with us because he loves the atmosphere.” she continued. The full list of the diverse vendors includes 5 Beans Coffee, ACT Maori Performing Arts, Adam’s Patisserie, Andy’s Gozleme, Asian Tiger, Axis Coffee Cart, Berlin Bangers, C3 Waffle on a stick, Canberra Magic Kitchen, Cannoli Brothers, Country Women’s Association – Queanbeyan, Cracking Corn, Daily Treats, Decadent Foods, Grill-ax, Good Life Van, Holie Cannoli, Kurbside kitchen, La Empanada, Majhabros, Mobile Espresso Cafe, Nomad kitchen and bbq, ORA Catering, Papa Laci the Langos Man, Poffertjes Dutch Pancakes, Pure Gelato ACT, Queanbeyan Hospital Auxiliary, Rotary Club of Queanbeyan, Sandra’s Kitchen, Yiayia’s Kitchen Canberra and Yummy Thai Catering. 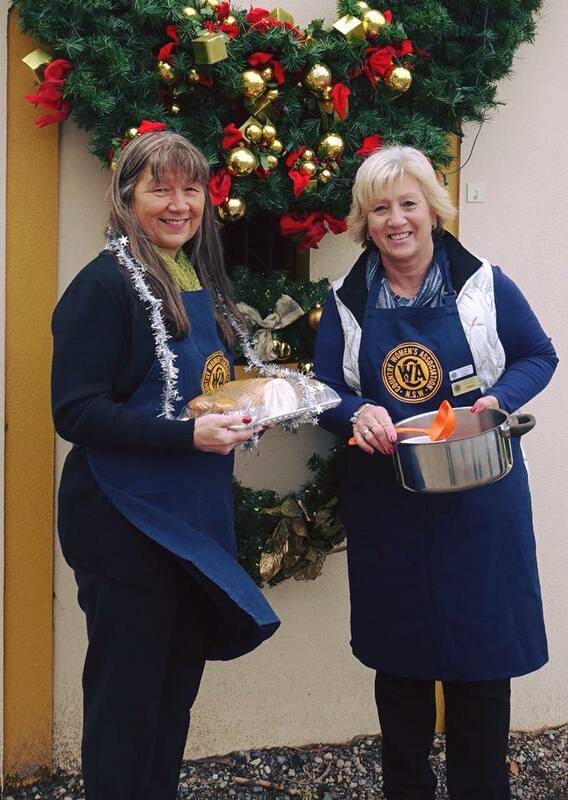 The scones will be light and the soup will be hearty thanks to the Country Women’s Association (CWA) of NSW and Queanbeyan Hospital Auxiliary. This section is all about tasty take-home food just perfect for any Christmas stocking and you can feel even better knowing you are supporting a local business. Bees R Us will bee in attendance selling their fresh honey from their farm in Braidwood along with beekeeping supplies. Bent Shed Produce from Tarago will be offering something a little different from their native spices and herbs selection. Captain’s Flat locals, Flat Out Produce will be bringing their infused flavoursome oils and Peggy’s Pantry will showcase their extensive range of preserves made from quality homemade products that are in keeping with the traditional home cooked style that Peggy (their Nan) was renowned for. 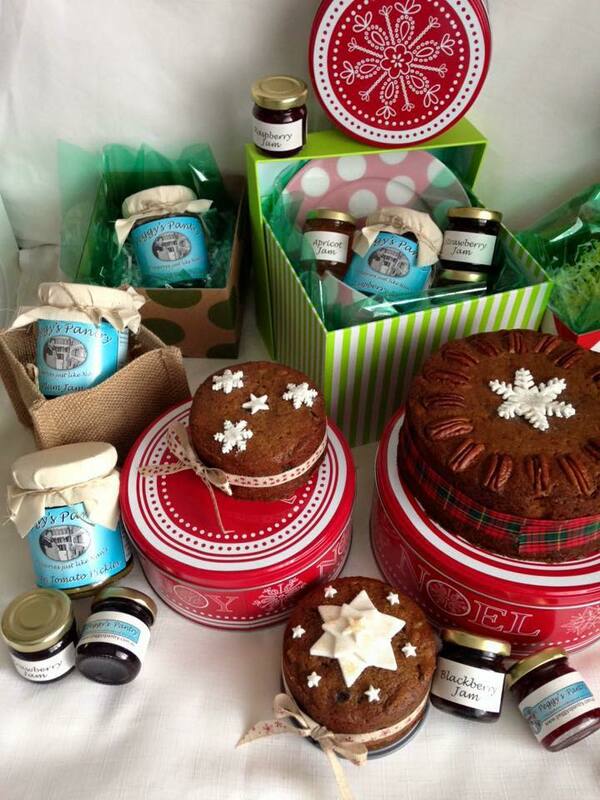 Say an extra special hello to the folks at Dot’s Homemade Jams. “Dot was recently diagnosed with breast cancer and the local community has come together to support her business and her family in a very special way.” shared Laura. Peggy’s Pantry will showcase their extensive range of preserves. For maximum enjoyment on the day, dress warmly, wear your stretchy pants (as the food will be worth it) and bring some blankets and non-perishable food to donate to the Giving Tree.